Recently, IDFC Bank has partnered with Zerodha. 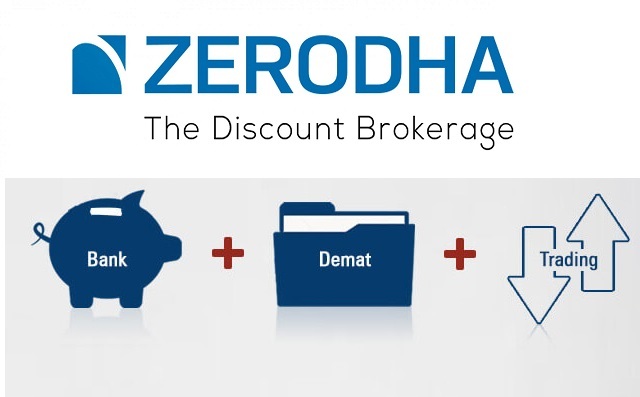 This tie-up enabled Zerodha to offer 3-in-1 account (IDFC bank account, Zerodha Trading & Demat account) and compete head-on with HDFC Securities and ICICI Securities, which allow customers to seamlessly transfer funds whenever they trade rather than parking funds. J.P Nagar 4th Phase, Bangalore - 560078. Visit https://signup.zerodha.com/idfc and click on continue with Kite. Download the 'POA', print it out and fill it up and, send it to Zerodha Head office. Real-time, super fast, fund transfer from the bank account to trading account without cumbersome authentication. No upper limit/cap for fund transfer. View your IDFC bank savings account balance in trading account - this means, you can track all of your assets (stocks, ETFs, Bonds, Mutual Funds, and cash) are in 1 place. The account opening charges are same.There are no additional charges to open a 3-in-1 account or get your existing account converted into a 3-in-1 account.